SOURCE: Quote by Spurgeon provided by John MacArthur, The Call to Repentance - John MacArthur (Note: Charles Spurgeon originally made this statement in a sermon entitled, TURN OR BURN, preached December 7, 1856, at the Music Hall, Royal Surrey Gardens). "You must not expect that you will be perfect in 'repentance' before you are saved. No Christian can be perfect. 'Repentance' is a grace. Some people preach it as a condition of salvation. Condition of nonsense! There are no conditions of salvation. God gives the salvation himself..."
Why doesn't MacArthur quote that? Admittedly, the former quote provided above, by itself, seems to support Lordship Salvation; BUT, if you look carefully you'll notice that Spurgeon continually mentions the word "renunciation" (i.e., rejecting one's sins). To "renounce" does not mean to literally forsake, otherwise Spurgeon would have used a different word. It is clear from Spurgeon's latter statement that he didn't believe in Lordship Salvation at all, and MacArthur is barking up an empty tree. 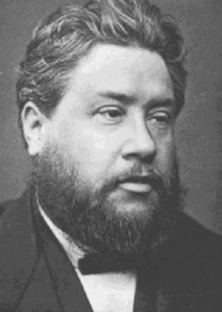 Spurgeon simply meant that a person who attempts to justify any sins in their life cannot be saved, until they RENOUNCE all sins as being a violation of God's Holy Law... "Now we know that what things soever the law saith, it saith to them who are under the law: that every mouth may be stopped, and all the world may become guilty before God" (Romans 3:19). Jesus said in John 3:20... "For every one that doeth evil hateth the light, neither cometh to the light, lest his deeds should be reproved." 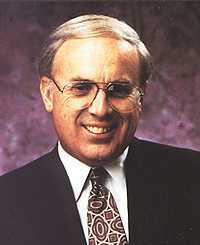 John MacArthur deceitfully picks and chooses quotes by great men, twisting their words, in a malicious attempt to support his false teachings. This has been the deceitful, lying tactic incorporated by the entire Lordship Salvation crowd. However it shows the fatal flaw and weakness of their perverted theology. They cannot use the Bible, so as a secondary authority, "great men of the past" are being erected as straw-men to bolster their false gospel. They take excerpts carefully chosen from archived sermons, twisted them out of context, well suited with the error of Cain, to deceive the Church. So now we have Satan’s new gospel (actually the same old lie) for our modern day. Dr. John MacArthur teaches a bunch of garbage—quoting the heresies of Martin Luther and John Calvin, and has publicly referred to the	Westminster Confession as a "theological masterpiece" over the radio. It's straight from Hell. We ought to follow the Scriptures (John 5:39); and not flawed and imperfect men (Romans 3:4; Psalm 118:8). The Word of God stands true! It bothers me that MacArthur twists Spurgeon's words out of context, attempting to portray Spurgeon as believing in Lordship Salvation, i.e., the heresy that a person cannot be saved unless they turn away, hate, grieve and intend to stop living a sinful lifestyle. Also, notice that Spurgeon stated: "Repentance is also a continual life-long act." Spurgeon was not teaching that salvation is a process, because it's not. Spurgeon simply meant that once a person initially repents, thus acknowledging their guilty sinful condition and trusting the Lord by faith to be forgiven, those same elements of repentance and faith will work in the believer's mind and heart for the rest of their life. Salvation is more than being saved . When God saves us, the lifelong process of growing in the Lord begins. Clearly, Spurgeon taught a Free Grace view of the Gospel; and not a false gospel that requires lost sinners to forsake personal sins to be saved. Who can do that? Even the best of Christians still sin every day! Even our ignorance is part of our sin. Like it or not, Charles Spurgeon plainly taught the truth that "there are no conditions of salvation." Eternal life is a free gift (Romans 5:15; 6:23), freely received (Revelation 22:17), and without works (Romans 4:5; Ephesians 2:8,9; Titus 3:5; Romans 10:3,4; 2nd Corinthians 5:21). Salvation is without works of self-righteousness. Romans 4:5 plainly teaches that a man's faith is COUNTED for righteousness, i.e., the righteousness of Jesus Christ is imputed to one's heavenly record by faith.